2K released a new NBA 2K19 screenshot. This one featuring Paul George, with an overall 89 rating. Let us know what you think. Looks the same from 2k18. I don’t the Point of posting screens that don’t show improvement in scans or rating, or have no significant meaning, like the DeRozan trade. Looks like he doesn't have t-rex arms anymore. It honestly looked so ridiculous last year. Also looks like he has a longer beard as well. Tattoos and correct arm length was touched up, lighting looks good still a lil questionable because IDK if its the lighting that's better or just the good sweet effects added this year. As far as the visuals go, don't expect anything major. That's how it always goes as we near the next gen of consoles. From what i've heard, the only thing that has really been improved is the lighting, which makes the players pop a bit more compared to last game. Pretty sure the lighting is still off. If you compare a real life image to any of the screenshots, the colors still look dull and flat. Not complaining, I like what they've done with the muscle definition, they just still have some areas to work on. He looks 1,000 times better than last season with the correct arm length (which they never patched). I'm hoping Dante Exum and Michael Carter - Williams got the same treatment and fixes (their player models were also terrible). I'm liking the better skin shaders, sweat and lighting (on the models) compared to last season. He had t-rex arms on 2k17 as well. Im glad they got this fixed even though it took another year to get him looking right. What?!?! Yo these ratings are WHACK! 89? So a 3 time All-NBA (one of which was last season), 2x All-Defensive, 5x All-Star star player coming off a just shy of 22ppg and 40% 3pt shooting season is only two points higher then 2nd and 3rd runner up Rookie of the Year players??? That's insane. He should be a 91 overall. I think his rating is accurate while others are too high. Yh I agree. I'd give George at the least a 90, but oh well. I mean clearly you're a thunder fan so try and put bias aside. Imo Simmons is a better, more complete player when side to side with Mitchel and Tatum...but whether it be to create parity it get us to talk, all three are the same rating. I agree it's a little questionable to have Kawhi as high as he is..but PG didn't exactly have the best end of the season to be fair. Also I understand the focus on the player and player model itself, but I wish we'd get some screens of the whole arena...like the whole picture. I don't like the whole zoomed in while the arena in the background is, well, the background. In a game the arena IS the entire picture. More focus on everything else like lighting and ambient noises would make the whole game be so much more immersive. It doesn't look exactly the same. His beard is slightly different and his arms are much longer. I'm not trying to be bias at all. Clearly the numbers speak for themselves. 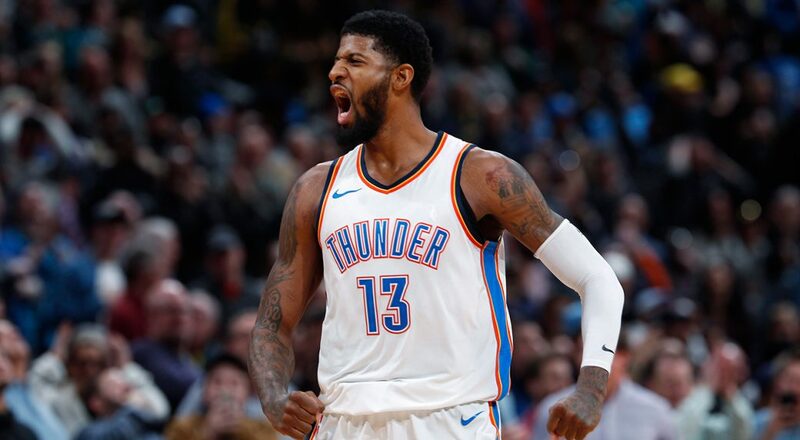 PG is still an All-NBA talent and one of the best two way players. My bias only kicks in when we start talking about Westbrook lol. PG should be a 90, Ben Simmons should be a 87, while Tatum and Mitchell should be 85s. Tatum didn't have that impressive of a regular season to me but he did kick it up come playoff time. They disrespected Derozan with a 89 too and I'm damn sure not a Toronto fan. But like I said it's not a huge deal we'll get ratings adjusted all season long. I mean like I'ma be mad if embiid is a 91 cuz towns is a 91 and towns plays 0 defense.. I can finally use Paul George on 2K now thank God. Those arms made it impossible for me to use him in a fantasy draft. What type of phone do you have or what type of screen are you view from. The colors definitely don't look dull and are comparable. What type of phone do you have or what type of screen are you viewing from. The colors definitely don't look dull and are comparable. I don't see the dullness. Edit* Ok i see the piping around Thunder and 13 aren't as bright as the real, pic but that's very minor. Edit* Ok i see the piping around Thunder an 13 aren't as bright as the real, pic but that's very minor. Yeah you're right about the screenshot. I should've said when you're actually playing a game the court and the players look dull with little lighting. Obviously we have to see what it's like when the full game comes out, but we've heard there's been little improvement in that area. Definitely doesn't look bad, but could use some more work IMO. Here's an example from 2K18, the players just look too cartoony for this gen to me. Probably another 89 for him too. Their numbers are almost identical where as PG has a better 3pt% but Butler is a better playmaker. Or they'll really F him hard and make him a 87. He did miss like 25-30 games didn't he? Sorry to keep getting off topic. This is what I meant to say. The team over at WWE 2K completely changed the lighting and it's night and day. I have faith that the NBA 2K art team can do it as well. That Rookie of the Year runner up outplayed him in the playoffs though. Yeah that's a big difference. Yh even though it was just the lighting that improved, it made a huge difference with the wwe 2k18 game. Maybe something similar has been done with nba 2k19. Not really. PG is a 2nd option behind Westbrook (Russ averaged more ppg and nearly averaged triple double that series) and still had similiar numbers with the exception of 5 less points per game. Mitchell was Utahs main option and the primary threat that whole series not counting Rubios triple double game. If we wouldn't have had Melo I'd imagine OKC wins that series. Melo shot a horrid 21% from downtown that series and refuses to play defense. So comparing a number 1 option to a number 2 option with similiar numbers? Not as good in my book. Had he matched or put up bigger numbers then Russ I'd be impressed. Utah only averaged 5 more ppg that series. It was close. You gotta look at the statistics and watch the games not just the ESPN alerts. Sorry for rant. Mitchell just isn't that good. Yet. He shows promise though for sure. Not All-NBA talent. Great looking shot imo. Anyone know what system this image is being rendered from? ps4,x1,pc? I wish someone would recreate these pics on nba2k18. This player model looks great. But they still cut off his lower body. Are waists somewhat fixed, or are my eyes deceiving me? 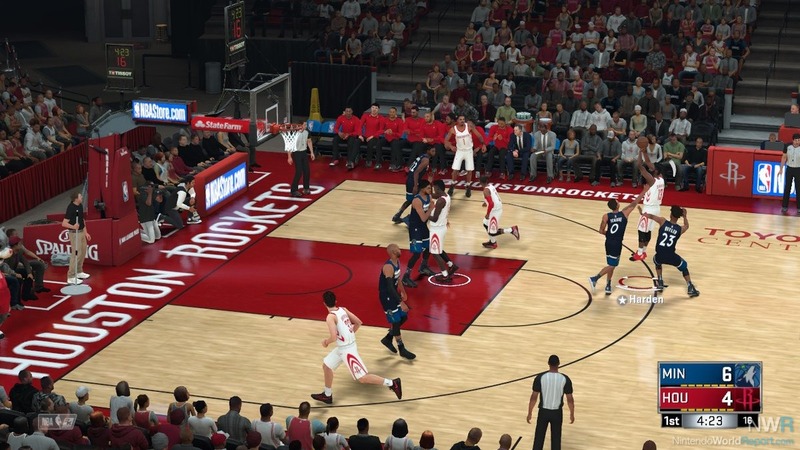 This is an area I think 2K should be more clear on with the screen shots. There was a guy in another thread saying that 2K was deceiving people because of the angle of their shots with the screens. I don't get that. But they should include a mark or something say, "Pro or 1X". It makes a noticeable difference. You also don't know what kind of camera this was shot on, what extra lights they were using around the arena and what filter the photographer was on. You literally cannot compare random shots from a photographer in an NBA game to anything 2k does. 1) Nothing is 100% photo-realistic yet in home video game technology so it's unfair to compare real life to a console video game and 2) there are so many variable factors with shots in arenas that you can't make a 1 to 1 comparison. Sometimes even with different photographers at the same game. I understand you want the guys to look exactly 100% real with 100% real lighting and thread count on socks, but it's unfair to expect that at this point in video games. If you go back to page 3, I kinda clarified what I was talking about. I understand that video games can't look exactly like real life. I think the player models look great, but when you're actually playing a game, it definitely looks a bit too cartoony for 2018. Seeing what WWE 2K has done in one year, I think it's fair to expect the NBA 2K art team to be able to rework their lighting system. Hope I don't sound like a d**k, just wanted to clarify the issue I had with the lighting. Totally agree! I get comparing game shots to real life and wanting it to be perfect. But, it's still a game. It's never gonna be perfect. And the models and areas aren't likely to change this gen. Hopefully 2K can take these reference and build a more realistic anatomically correct model (which still won't be perfect) for the next gen.
That lighting difference from WWE 2K17 to 2K18 is insane. That's night and day. Pretty impressive, let's hope NBA 2k follows that. Wow. Complexion looks better, arms look longer, touched up his beard(and possibly his hair/hairline) & the sweat makes it look more realistic. I love Boogie but I don't think you can come back from an achilles tear and be rated in the 90s from the get-go. You gotta work back up to that level. 89 if you want to give him that much benefit of the doubt. We're talking about a company that had Kobe Bryant about 10 points overrated from his Achilles injury on. The screen shot of PG looks pretty good. The 89 overall rating means very little to me, its how they came to the 89 overall that matters. So depending on what every attribute rating is, you dont know if he is underrated or overrated. Plus the tendency ratings, play a major role in if he plays like his real life self, and this is where the NBA2k team does such a poor job. I have no doubts the graphics will be great, they usually are for the most part. One of the league's best ball thieves and two-way players. Not a good mid-range scorer despite his makeup and tools (produced at a very high level in 2017, but this appears to be an aberration relative to the rest of his career). Is this where Melo becomes addition by subtraction? I'm just gonna pick apart all the dumb things said. There's a lot. George averaged 3.3 assists and 5.7 rebounds. So his passing and rebounding are mediocre. His defense is good, not great. He shot .669% from close range (within three feet), and .333% from anything farther than a few feet away. His three percentage was .401%. So statistically, he's not a great shooter. His PER was 18.7 with 20.9 being his highest ever. Again, not great. George relies a lot on athleticism and is nearing thirty years old. I'm a Lakers fan, and as well as me, I know many other Lakers fans who are happy that George didn't come to Los Angeles. Kawhi Leonard had better numbers in almost every stat I mentioned for George before last year. Kawhi played well last year in the time he did play; 26 PER last year, and a 27 PER the year before. 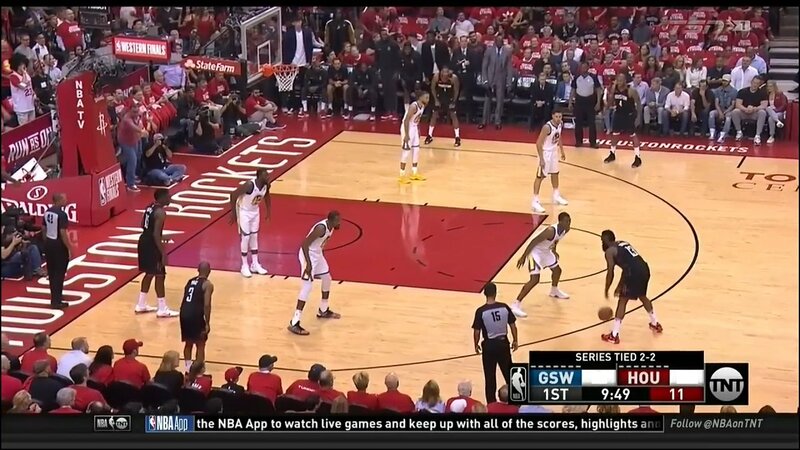 Kawhi's injury was hardly anything, and he basically sat out. You'd have to be an idiot to say he's below George, or even close. Kawhi is like George on steroids. An 89 is generous for George. You are absolutely clueless as to what goes into rating a player. Huge difference dude. Did you even Google it to compare? That's just one picture. Not a fare comparison.